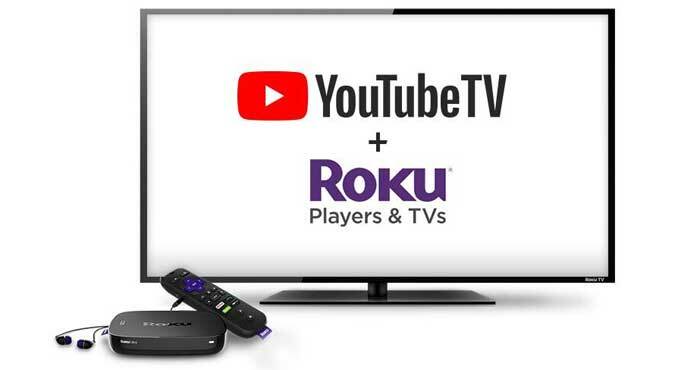 Roku owners have a new option for watching live television: YouTube TV. A budget-friendly $35/month will net you over 50 channels — including CBS, which you won't find on every streaming service. In addition to being able to watch live (and on-demand for some networks), a cloud-based DVR will record as many shows as you want and save them for up to 9 months. Just like live TV, you'll see ads when watching live programming onYouTube TV, but it still costs a lot less than cable television service. YouTube's streaming service is a relative newcomer to the cable replacement market, and when it was released it had a few downsides. But over the past year, the service has addressed many of its shortcomings: it's now available in over 80 markets and by supporting Roku, it's much easier to watch on your TV. The service still faces stiff competition from Sling TV (starting at $20/month for 30+ channels), DirecTV Now (starting at $35/month for 60+ channels), Hulu with Live TV (starting at $40/month for 50+ channels), and PlayStation Vue (starting at $40/month for 45+ channels). But now that YouTube TV is more widely available, it's become a solid choice for cord-cutters. The service has the best cloud DVR on the market, and unlike its similarly-priced competition — Sling TV and DirecTV Now — it includes CBS programming. With a wide selection of channels and a modest price, YouTube TV is a great value. You can sign up for a free, 7-day trial to see if the service works for you. If it isn't, you can cancel anytime without fees, so there's no risk if you just wanted to sign up to watch the Super Bowl or the Olympics. Anyone with a fairly recent Roku device (most devices purchased from 2013 onward) can add the YouTube TV channel to their Roku by visiting the Roku Channel Store. And if you don't have a Roku yet, you can nab a Roku Express for just $30. Roku players can access thousands of channels of streaming content, and for $30 it's a great way to watch anything on your TV. We have tried unsuccessfully to stream You tube videos to our tv. Keeps saying not in our area yet (30909) but sister gets it in same area (30909). Can you help? What are your Roku account settings? Sounds like an issue with the region on your Roku account. There have been some reports of people having accounts set up for the wrong country (e.g., a US customer registered as a Canadian account). The best thing to do is to contact Roku customer support to see if they can look into the issue, specifically to confirm that you are set up as a US customer (this isn’t something you can do yourself).